In the color industry, there are two classes of instrumentation based on their geometry that are used to measure color: “45/0” and “Sphere”. A 45/0 color instrument is used in situations where we want to measure color the way our eye sees color. Gloss levels influence the way our eye sees color. A high gloss sample appears darker to our eye than a matte gloss sample with the same pigment concentration. A practical use for a 45/0 color instrument is to check color consistency of consumer products when appearance is a deciding factor in a product purchase. This simulates visual color evaluation by excluding the gloss. 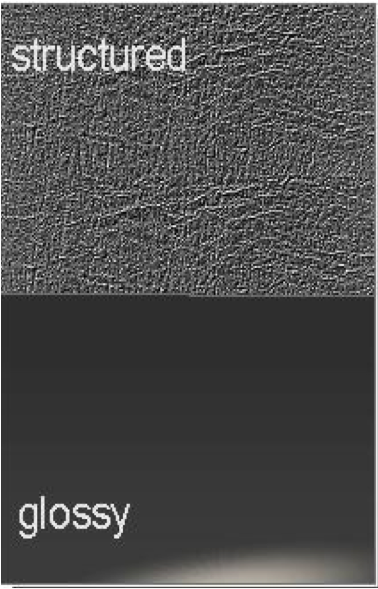 The advantage of circumferential illumination is to achieve more repeatable measurements results on directional and structured surfaces. The sphere spin (specular included) geometry eliminates the influence of gloss and surface texture on the object’s color. 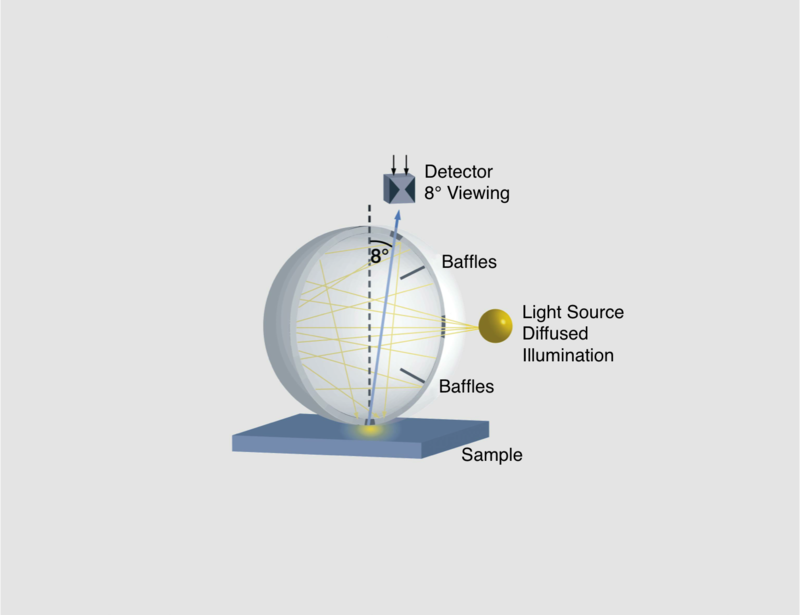 A sphere spin color instrument is used in situations where color change is primarily influenced by the object’s colorants (i.e. pigments, dyes). A raw material supplier of pigments or resins would use the sphere spin geometry to check lot-to-lot consistency. Diffuse reflection (color) + direct reflection (gloss). A plastic sample with the same pigmentation. One side is structured & matte and the other is smooth & glossy. When measuring the example plaque with a 45/0 instrument, the instrument will measure a difference in the color between the glossy and structured sides. The 45/0 measures color the way our eye sees color, and these two sides are clearly different. When measuring the example plaque with a sphere spin instrument, the instrument will measure no difference in the color between the gloss and structured sides. 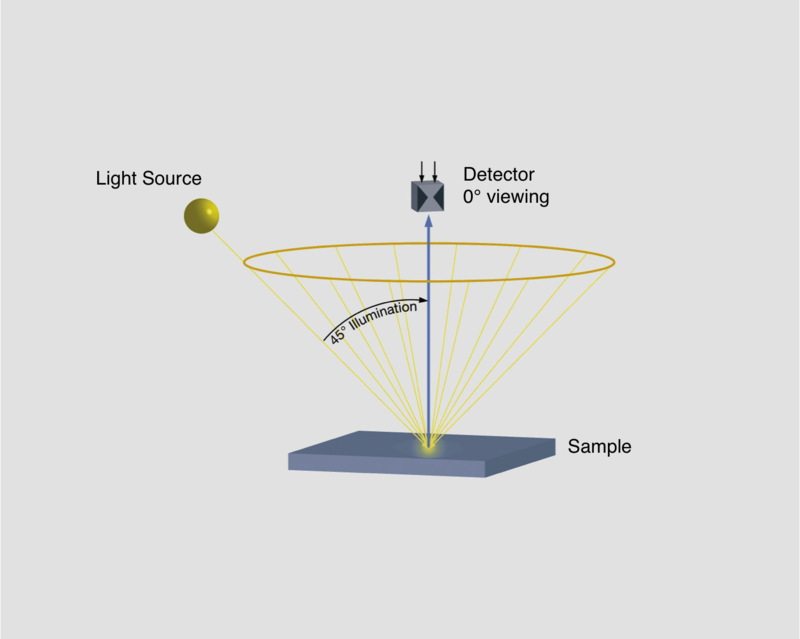 The sphere spin in not influenced by the gloss or texture of the surface of the sample.